The real estate is a huge and complex industry not only for the clients but for the agents as well. Clients need to look for an agent who can provide them with what they need and agents have to be flexible when serving their clients. To help agencies make a good impression, we’ve got flyer templates ready for download. To make sure that you are doing the right thing when making your real estate flyers, it’s important to do some research on the material first. Try looking for answers to questions such as “What is the purpose of flyers?”, “Why are they still effective?”, and “How should flyers be designed?”. Most real estate flyers show photos of the real estate properties up for sale and this can actually help in drawing more attention towards the material. Aside from photos, you may also be allowed to add illustrations or patterns but these are usually for decorative purposes only. After gathering the needed graphical elements, now it’s time to prepare the textual elements by writing a draft of the content. Doing this is recommended since it enforces you to keep your flyer’s content useful and compelling. Also, writing a draft minimizes the risk of committing errors during the technical phase. 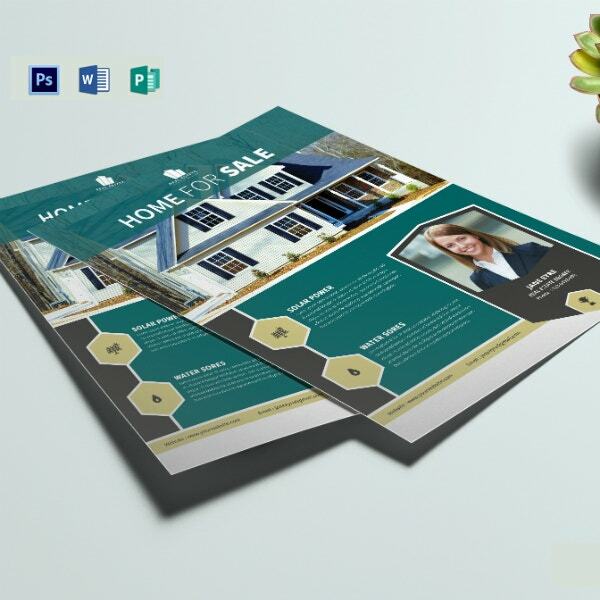 Ensuring that your real estate flyers will be able to really attract an audience seems overwhelming but using templates can actually make that task easier to pull off. Below, we’ve got over ten real estate flyer templates available for use, simply choose one and click on the download button to get started. After getting your hands on a flyer design template, you can start editing it. This step involves adding the photos and illustrations that you have gathered earlier and also writing the content based on your written draft. Also, make sure to arrange the elements well to prevent it from looking chaotic on the flyer’s layout. Once the flyer has been finalized, you can finally take it to the printing phase which is also the last thing that you will need to do. If you’re printing only a handful of copies, you may be able to save on the expenses if you do it yourself. However, if you’re printing by bulk, it would be best to let professionals handle it instead. There are three primary types of real estate and commercial real estate is one of them, the other two being residential and industrial. 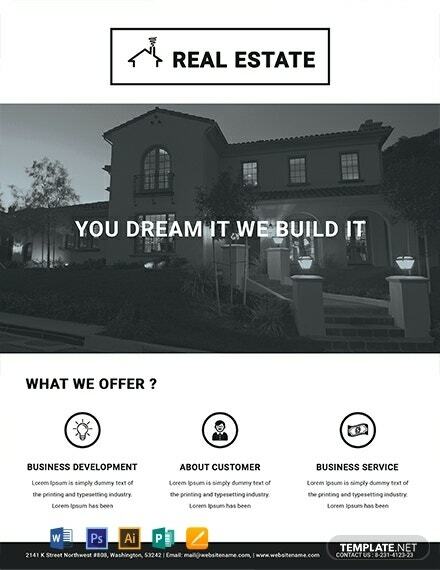 Commercial real estate focuses on properties dealing with the exchange of goods and services, and if these are the properties that you’re offering, the flyer template above is only one click away. Some flyers use only one side of the paper stock while others use both, but even then, it wouldn’t be enough for all your content. 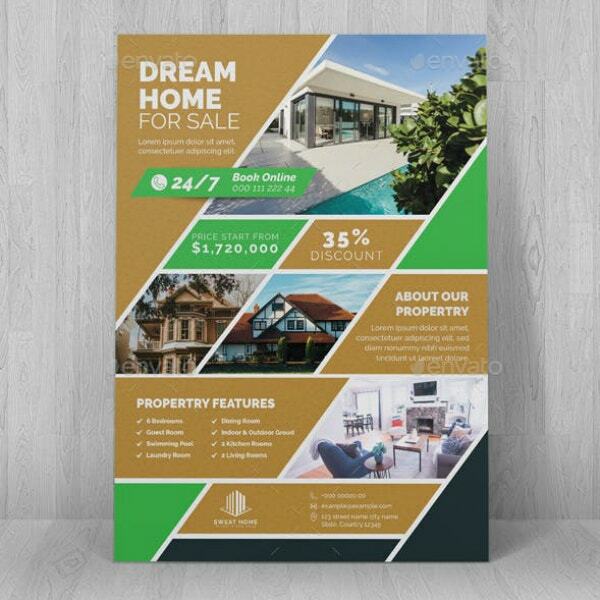 The flyer template above will teach you how to efficiently use the allotted space but if it still isn’t enough, you might as well check out our real estate banner template to enable you to go big. 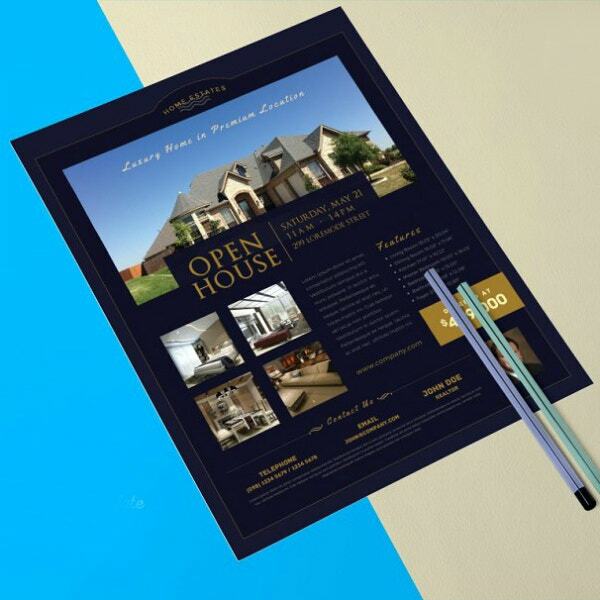 Let clients know what’s in store for them through your flyers, they all deserve to know the information. By using the template above, it’ll allow you to list down your services while also showing readers the property being offered. To help entice them to avail of your services, you should include a real estate promotional voucher as well. If you like to go minimal to keep readers from having their attention diverted, we’ve got a nice-looking minimal flyer template above. The elements on this template are very well arranged and it embraces the use of white space. Another advantage of using this template is that it’ll also minimize the time it’ll take to print each flyer. Here’s another very simple and straightforward flyer template that you can use for promoting your real estate agency or properties but unlike the previous ones, this template is heavier on the images than it is on the text. This would be a very good example of a flyer that conveys its message through pictures. Aside from being used for promoting real estate properties or agencies, flyers can also be used to promote the agent themselves especially those who are freelancers. 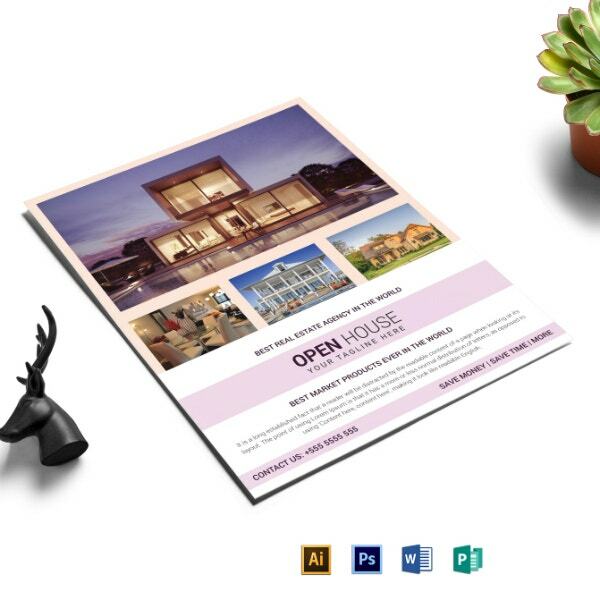 While the template above can be used for communicating what the agent is capable of, we also have a real estate business card template to allow agents to share their contact details. 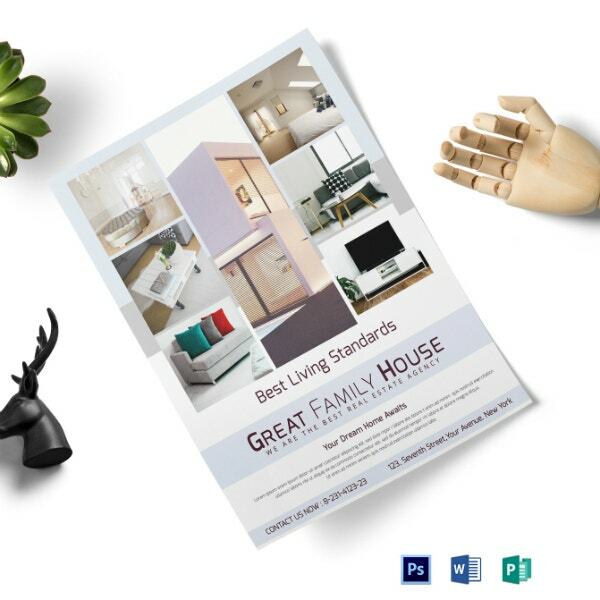 All our real estate flyer templates are fully printable but the one above is best regardless of what paper material you use or whether you go colored or black and white. 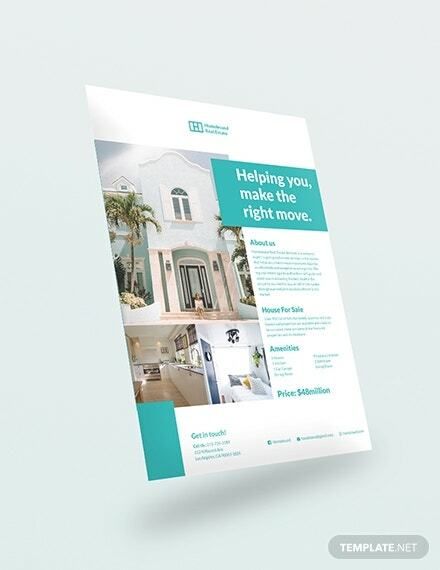 To go along with this simple flyer template, you might want to complement it using our simple real estate rack card template. If you only know how to manage the allotted space effectively, you’ll be able to fit in a lot of images together with a list of what services your agency is capable of doing. 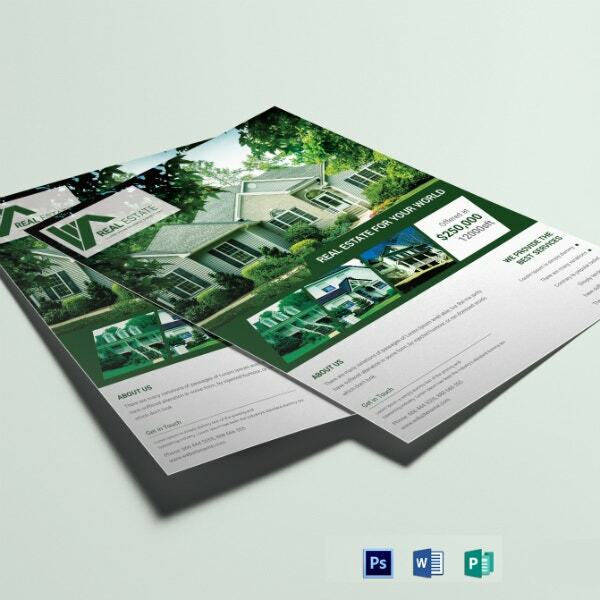 The structured realtor flyer template will show you how it’s done without making the design look messy and unprofessional. 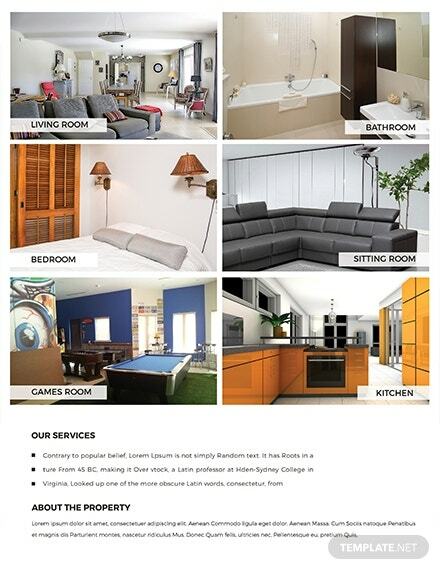 Help clients find the home of their dreams but you can only do that if they choose to avail of your agency’s services. By using the marketing flyer template above, you’ll be able to draw people towards your agency and make them realize that you’re the solution to their concerns. Some flyers choose to have their discount coupons printed separately while others prefer to incorporate it on the flyer itself which allows them to save on the printing. These are referred to as coupon flyers and they allow users to avail of discounts simply by presenting it during business transactions. 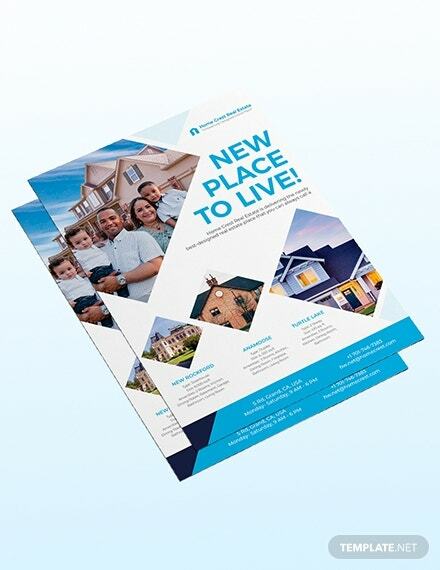 If you still hadn’t found a real estate advertising flyer template that works for you, perhaps the one above is what you’ve been looking for. It’s dark themed which is less straining on the eyes even when reading in long durations. 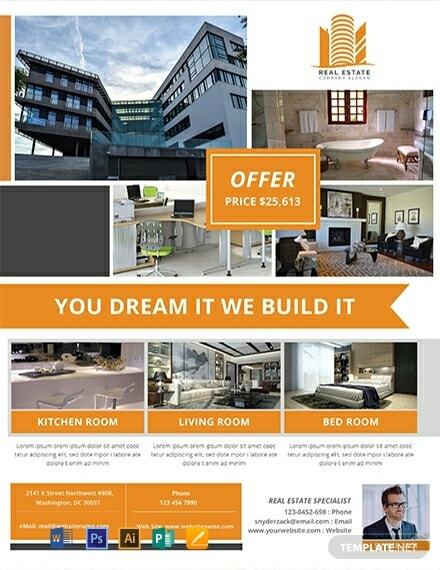 But if you’re planning to advertise online, we’ve also got a real estate email ad template available for you.